Vino y Blues in Valle de Guadalupe. If you love wine, blues and good ol' Mexican BBQ. 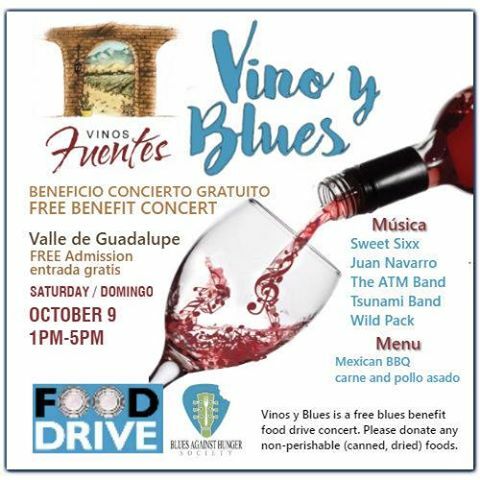 Join us SUNDAY, OCT 9, 2016 at Vinos Fuentes for an afternoon of fun, music, food and helping other. This a FREE event. We ask that you bring a donation of any non-perishable, non-expired food item. We look forward to another beautiful Baja day. Please RSVP / Limited table seating of 150.